New Orleans. Beads. Cajun. Creole. Hurricanes (the drinks not the weather). Funky Bars. Voodoo. It’s all there and here too. In this book…The Voodoo. The Mystic. The Cemetery Tours. Vampire Bars. Hot Guys and Ghosts. All right here. You don’t even have to get on a plane to experience the fun, mystery and romance of New Orleans. Lottie is a college senior. She is on her own having lived most of her teen years in foster care. Lottie travels to New Orleans, a place steeped in history, for Spring Break with some friends. Being surrounded by all the old houses, traditions and stories of New Orleans she is reminded of just how alone she is. She had no family. Zero, Zilch, Nada….Her parents died long before she cared to ask about her family history and now there was no one to ask. It somehow made her feel even more isolated and alone than if she had just been an orphan. Almost immediately upon arriving Lottie starts having dreams. Weird feelings of familiarity. No. It’s not the Pat O’Briens Dollar Beer Night kind of dreams. She is dreaming the story of Elise, a woman who lived in New Orleans in the 1800’s. Xavier is a hunky New Orleans native whose family operates a Voodoo Shop, gives seances, and channels spirits. Except Xavier doesn’t really believe in all that his family sells to tourist. Xavier had heard the stories over and over as a kid. But he’s never really thought about the man behind them….He didn’t believe for a second that offering gifts to the spirits of dead ancestors strengthened them.. 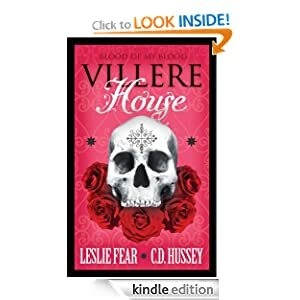 When Lottie is drawn to the Villere House of Voodoo, she and Xavier meet and begin a ride neither of them have any control over. Lottie is tormented by the dreams and is compelled to discover what Elise needs from her. Xavier is compelled to stay close to Lottie, not just because he is attracted to her, but because he feels a need to protect her. He’s just not sure what exactly she needs protection from. Will Lottie discover what she has been missing all these years? Will she discover something of her own history in the history of Elise? Can Xavier help Lottie without accepting the part of his heritage he has fought to deny. The supernatural side of his family tree. And what about Lottie and Xavier? Xavier is a huge flirt. …I’m just saying I have my own style and set of skills. Lottie has been on her own for so long, can she let Xavier in. Let him give her what she needs? Trust him to take care of her? …it was overwhelming. Hardly anyone had given two shits about her well-being for years. For him to run in on his white horse…it was damn near suffocating. This book is very different from what I usually read. I have been off my paranormal kick for a while. But this story leaps from the pages just like the uber-cool cover that caught my attention. If I were a tattoo getting kind of gal, that cover would inspire one for sure. The style of the book is a mix of romance meets paranormal meets mystery. The writing is both contemporary and historical. Just like New Orleans. This is what you’ll be doing to get the book. If you like the Big Easy this is an easy buy. And you don’t even have to flash anyone to get it. Unless you want to of course.